This is a typical question that physiotherapists get asked on a regular basis. Cervicogenic headaches (neck related headaches) may be the cause of up to 35% of all headaches presenting for physiotherapy. The best way to find out if a cervicogenic headache is what you experience is to understand what a cervicogenic headache is. Nerves from the upper 3 neck spinal segments intersect with the nucleus of the trigeminal nerve. This region of convergence is referred to as the trigeminocervical nucleus (TCN). In laymen’s terms this means that any structures that are supplied by the top three spinal nerves can be a source of head pain (i.e. joints, muscles, discs and/or pain from one of those nerves). In most cases problems with joints of the neck result from them being too stiff or too loose. Muscles connecting the neck to the head, shoulder blades, and trunk can all contribute to headaches. Commonly, people describe muscles that feel like they are knotted or in spasm. Clinically we often find that these muscles are overworked. This can occur as a result of compensation due to poor posture or adjacent muscles that are weak. The intervertebral discs are the shock absorbers of the spine. They can be injured by ongoing stress, such as poor ergonomics, or a traumatic injury. 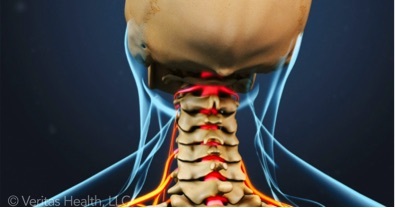 Direct compression of nerves in the upper neck can result from a disc ‘bulge’ or direct pressure from bony growths in the area. Altered neurodynamics (nerve mobility) may also cause irritation. The nature of a headache often provides clues as to the likely type of headache that is being experienced. Cervicogenic headaches may occur on a daily basis or several times during a week. They often present as a one-sided headache, with the potential to be both sides if, the neck pathology is on both sides. The pain is often an aching sensation of mild to moderate intensity. 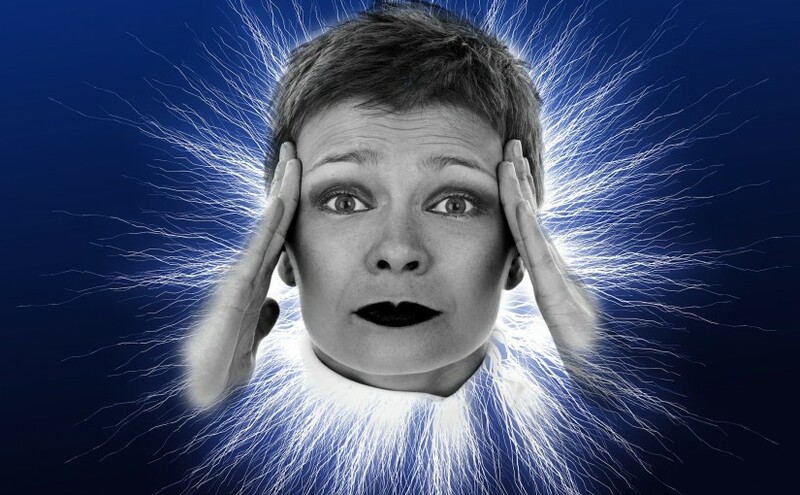 Commonly headache sufferers will describe a headache that originates in the neck and spreads into the head. Cervicogenic headaches will usually be triggered by neck movements or sustained postures (E.g. sitting at a computer or a poor sleeping position). Following a thorough assessment your physiotherapist will be able to determine whether a headache is likely to be coming from the neck. Neck pain and headaches have many causes and it is important to assess these potential causes to develop an appropriate treatment plan. Regarding postures, habits, and daily activities that may aggravate headaches. Your physiotherapist may also feel that referral to another health practitioner may be beneficial. Using hands-on techniques such as massage, mobilising joints, dry needling, or stretches of the soft tissues or neural structures. This can encompass anything from the impact of psychosocial factors or the involvement of stress to co-existing (and sometimes seemingly unrelated) injuries elsewhere in the body. The International Headache Society has published a headache classification system which identifies 14 possible diagnostic categories for headaches. This is where a thorough examination is imperative in guiding the management of headaches. Book an appointment with Peter today to start managing your headache or to have an existing injury assessed.